The new kits for the Centenary season were revealed tonight at the Annual Shirt Draw. A full list of winners will be published shortly. 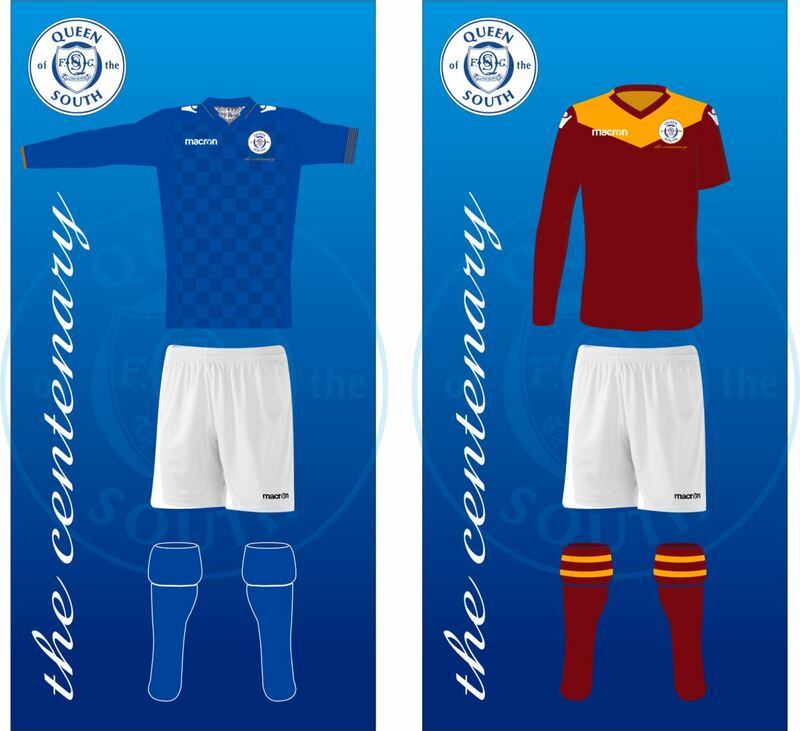 The special commemorative home kit has the names of approximately 1,700 people in small print whilst the second choice kit is based on the kit of the 5th KOSB immediately prior to the merger with Arrol Johnston and Dumfries to form Queen of the South in 1919. A special third kit in Sky Blue will also be available which is based on the first kit Queen of the South played in during 1919/20. After communication with Iain McCartney , Historical Kits, Scottish Football Museum and Macron there still seems to be some debate over the actual strip colours and what shades of blue were used . We acknowledge that Dumfries FC turned down the chance to amalgamate back in 1919. From this we have decided to stick with the original choices that were shown on the day of the shirt draw. There was good feedback about the Blue First choice, Maroon Second choice and Light Blue third choice which we still hope to have as a one off limited edition shirt.